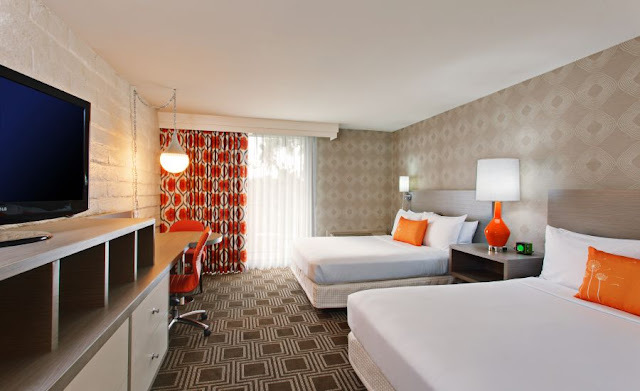 The Garland North Hollywood offers a retro chic vibe among Universal Studios hotels & hotels in Los Angeles. Enjoy spacious Hollywood accommodations. The Garland features a peaceful courtyard with an outdoor pool, fireplace, and bar. Free WiFi, a fitness center, and a restaurant serving local fare are also available. Guestrooms have balconies, air conditioning, and coffee/tea makers; rooms also include multi-line phones and complimentary wireless Internet access. Private bathrooms feature hair dryers.